Lil Wayne is back on lean -- despite his close brush with death nearly three years ago -- and it's so bad he's bringing the stuff everywhere he goes. 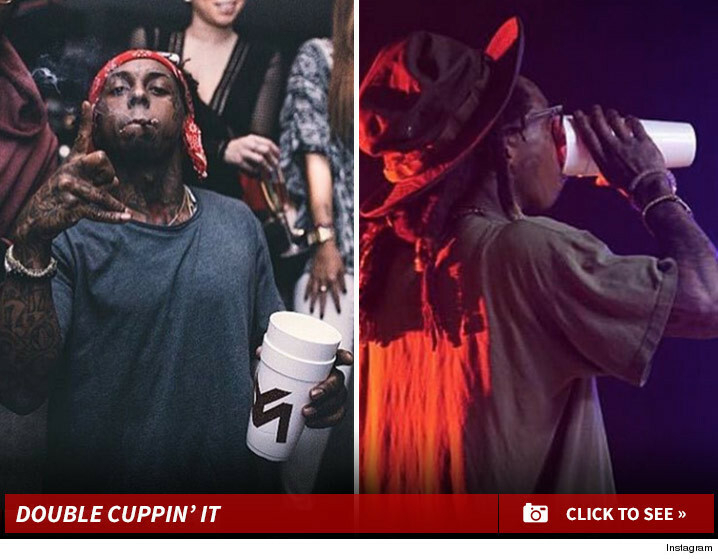 Sources close to Weezy tell us he started sippin' the sizzurp a few months ago and hasn't even been hiding it by flashing his double cup. He's rarely been photographed without one in recent weeks ... even last week in Dubai where there's zero tolerance for the stuff. We're told Wayne's not worried about his health -- it's never been back to 100 since he OD'd on lean and suffered several seizures, and as our source puts it, Wayne gives "zero f***s."
Lil Wayne told Katie Couric he quit lean cold turkey due to the seizures, but obviously a lot's changed since this 2013 clip.